I love your recipes and thought I’d share a favorite of mine. You can play around with the amounts. I hope you enjoy it. Everyone who tastes it wants the recipe. Enjoy!! Dana , which brand of Dijon mustard you use? I feel the same…I’m feeling like all I eat/post/talk about are salads – and pretty much all the time! LOL. I love having a well stocked produce drawer. I just emptied mine yesterday at dinner and will not be able to get through day without a trip to produce market or grocery store. 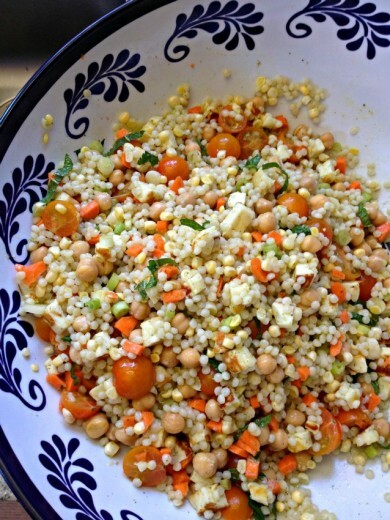 This couscous salad looks fantastic!! 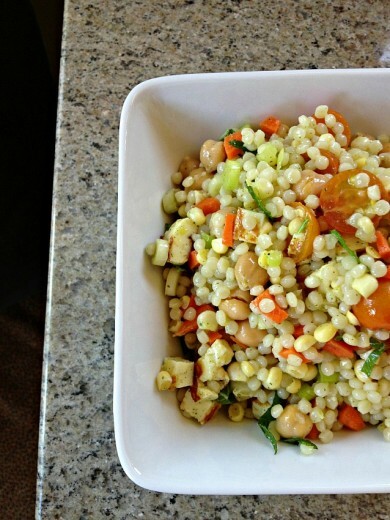 I love grain salads like this. And I still haven’t tried that cheese. We are getting our first TJ’s in a few months, will have to pick it up there! I like Edmund Fallot. It’s the best I’ve tasted. Okay, I am SOOOO checking out the halloumi at TJ’s because I love it but the one at Whole Foods is just too expensive to buy with any regularity! Also. This salad. Swooning. Dana, loving the ingredients in the salad, definitely a pantry type meal. 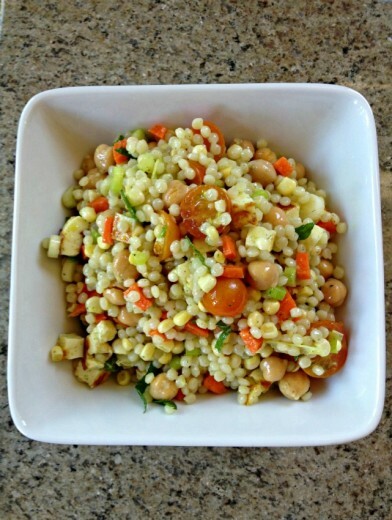 I am been writing out some new ideas for summer-time salads, and am going to have to add this to the list. Lovely. I was super excited to see the mention of Haloumi at TJs. Bought some at Whole Foods 2 weeks ago and cringed at the price! Quick question….did you rinse the cheese before using it? It wasn’t till I was done making the salad that I noticed the package said “rinse before using”. Hoping that wasn’t a critical part of the process! 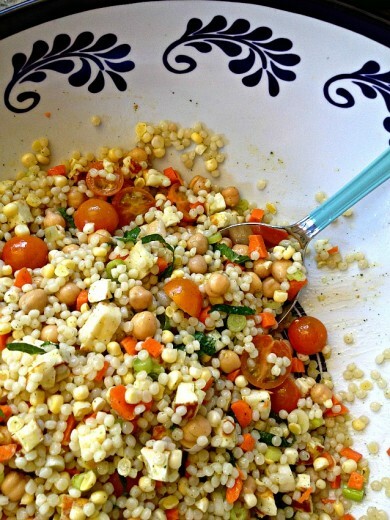 Great recipe…the salad was soooo good!! Hi Karen. You definitely don’t need to rinse it before using it. I almost never do. When I grill it, I will give it a rinse and then pat it dry, just to cut down on splatter. But totally not necessary.